Sukinda, the world’s largest open-cast mining area, is also the world’s fourth-most polluted place – and the cost is carried by its original inhabitants. 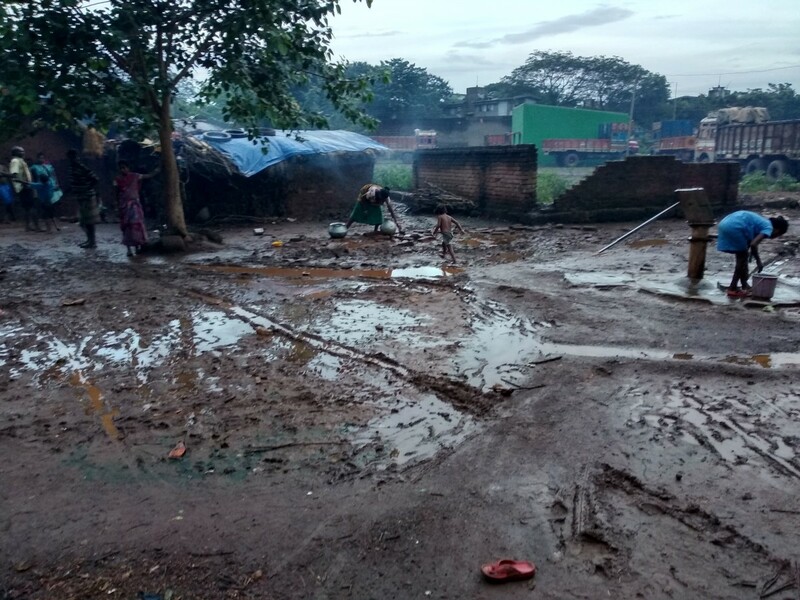 Mankidia Sahi's residents in their mud-walled, polythene roofed houses, after August rains. 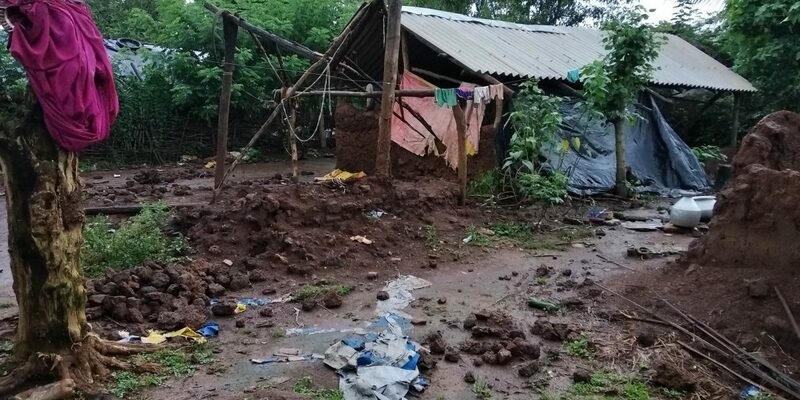 Sukinda (Jajpur district, Odisha): Outside her mud-walled house, Pitayi Mankidia, 30, is holding her two-year-old daughter Huli, who is crying. Huli’s face is smeared with neem leaves to soothe the pain and itching that is aggravated by the dust in the area. Both mother and daughter have specks of blood dotting the rashes on their bodies. This 20-km stretch is the country’s largest deposit of chromite, an ingredient of metallic chromium, used to make stainless and tool steels. It is also the world’s biggest open-cast mining area. Across the road from Pitayi’s home, the world looks very different. The Tata residential colony, built for employees, has parks, water-treatment plants, club-houses, supermarkets, schools and the only post office in the area. The Tatas also control the most essential facility for survival here: the hospital. The colony’s world-class living conditions are indicative of the class-apartheid that mining and capital have produced here. The morrum topsoil heaps from where the rundown water joins the stream. A 2007 report by the Blacksmith Institute ranked Sukinda as the world’s fourth-most polluted place. The report states that “approximately 70 per cent of the surface water and 60 per cent of the drinking water contains hexavalent chromium at more than double national and international standards and levels of over 20 times the standard have been recorded.” High levels of the compound are extremely carcinogenic, and put people at risk of permanent damage to eyes, skin and the gastrointestinal system. The reply by the Orissa State Pollution Control Board, quoted in the Blacksmith report: “It is unique, it is gigantic and it is beyond the means and purview of the Board to solve the problem”. In August, intermittent rains have brought Sukinda’s dam to the brim, and newly built ponds are full. It is a busy day for all, with farmers tilling their land and tending to cattle. The place is surrounded by lush green paddy fields, and beyond, the Daitari and Mahagiri forest ranges. Amidst this is the hamlet of Mankidia Sahi, home to about 500 Adivasis recognised by the G=government as a ‘Particularly Vulnerable Tribal Group’. They live here without electricity, and with no toilets in any home. Pitayi’s day begins as early as 5 am. She cooks the morning meals for her family, walks out to gather firewood, bundle it and sell it in the market to earn about Rs 120 a day. She is back by dusk to cook again, now in darkness. “But I am weak, it is becoming impossible to work,” she says. In 2017, advocate Sankar Pani, on behalf of local activist Lambodar Mahanta, filed a petition with the National Green Tribunal to challenge the destructive activities and unscientific management of mines by Tata. 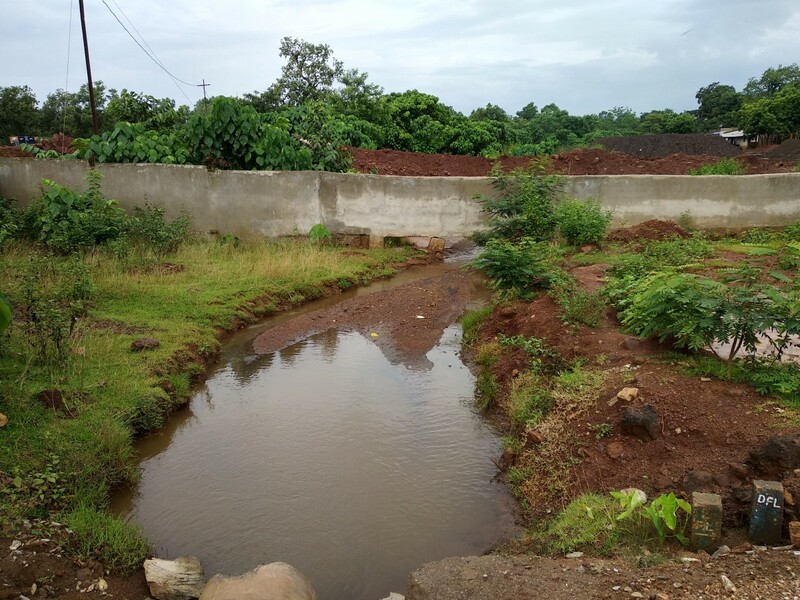 The polluted stream that is the source of water for farming, animal rearing and often for other human uses. Pitayi’s husband Biju Mankedia, working in a nearby minefield for a meagre sum of Rs 200/day, too, takes ill very often. His risk is even higher; he enters the mouth of those mining pits for as long as eight hours every day. The constant fatigue makes him unable to work for longer. He has dry, patchy skin in certain places, like fish scales, that itches and sometimes bleeds. In the absence of any health-related guidance, most families, like Pitayi’s, never know what they are being treated for. “The hospital does not have all the facilities for specialised diagnosis and treatment,” said one paramedical staffer, on condition of anonymity. “We take precautionary measures and refer them.” The patients are only told they need specialised treatment in a city, and that is often the end of their stint at the Tata hospital. In 2011, the Ministry of Mines acknowledged in its Sustainable Development Framework report that mining has produced little or no benefits for local populations in industrial areas. In view of this inequity, the Mines and Minerals (Development and Regulation) Act was amended in 2015. 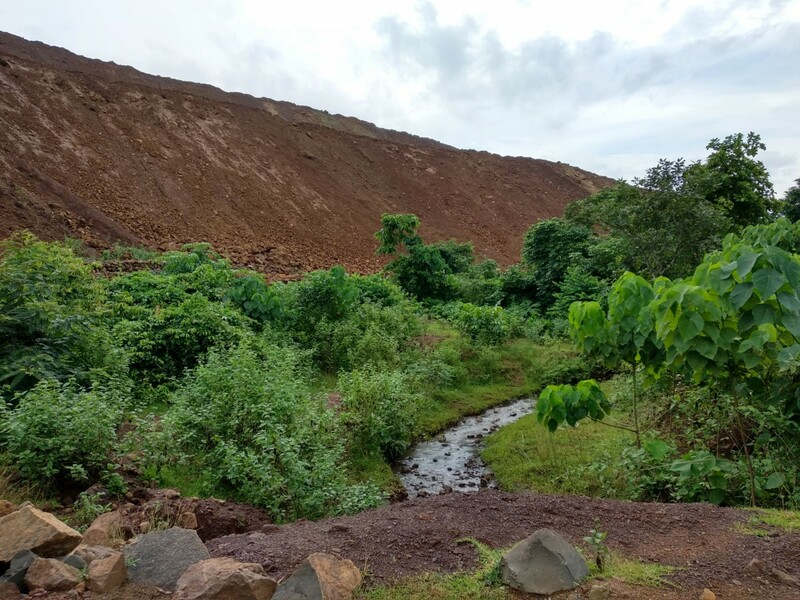 In Odisha, the state government created mechanisms including District Mineral Foundations, non-profit trusts, to share royalties with the affected communities. In Jajpur, the total amount collected in the District Minerals Fund as of June 30, 2018, was about Rs 530.30 crore. A summary of the utilisation of funds on the Odisha DMF website is startling: The Sukinda block, categorised as the ‘directly affected region’ has been sanctioned only a paltry sum of Rs 66.99 crore – of which Rs 14.21 crore has been released and Rs 0.03 crore spent. Mankidia Sahi as the day comes to an end: women beginning to wash utensils and prepare to cook. ; children cleaning themselves in the only tube-well in the area. At a distance, trucks line up to ferry people to the mines. The website, further, lists the priority sector expenditures: Power has no allocation to its account. Women and child welfare has Rs 5.90 crore allocations, of which Rs 0.90 crore is sanctioned. Drinking water and education have allocations of Rs 42.39 crore and Rs 5.84 crore, of which only Rs 3.59 crore and Rs 0.81 crore, respectively, have been sanctioned. Benefit sharing and priority expenditure alone won’t solve the problem. Studies of the pollution and its health-symptoms are necessary. The Orissa Voluntary Health Association reported that 84.75% of deaths in the mining areas, and 86.42% of deaths in nearby industrial villages, occurred due to chromites-mine related diseases. Sweta Dash is a writer and aspiring academic, and Abinash Dash Choudhury is a writer and activist.